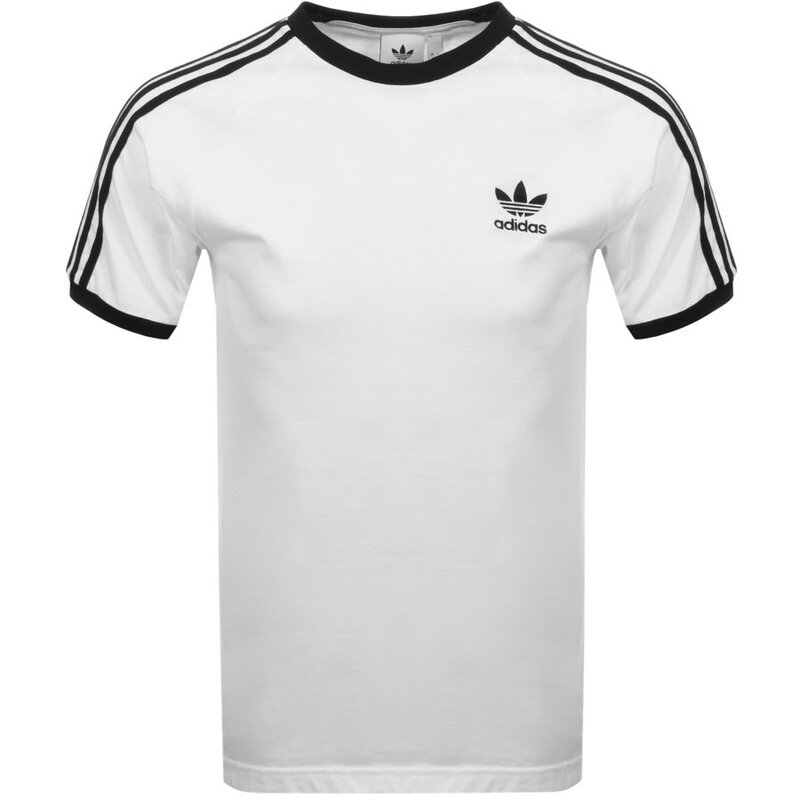 Adidas Originals California 3 Stripes T Shirt In White, A black ribbed crew neck and raglan style short sleeves with ribbed cuffs and the signature Adidas Three Stripes in black. The signature Adidas Trefoil logo is embroidered on the left of the chest in black. 100% Cotton. Part Of The Brand New Collection of Adidas T Shirts Live. Rated 5.0/5 based on 6 Customer Review(s). I would recommend this product. Excellent quality. This was bought for a Xmas present. Very pleased with quality of product . Fits fine. Arrived in good time.